This is an Arduino board with an RS232 serial connector. Features a six pin ISP connector to allow 168 and 328 chips to be programmed via AVR studio. Barrel connector for external power supply (7.5 to 12VDC). Usual Arduino port pins are exposed. 5V regulator and a 16MHz xtal. 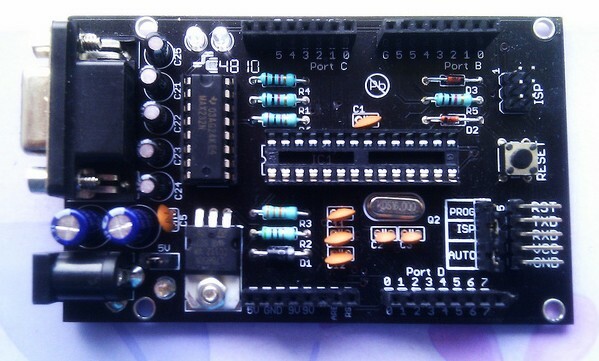 Great for programming the HAH Arduino code onto your own AVR chips (no AVR chip supplied with this card).